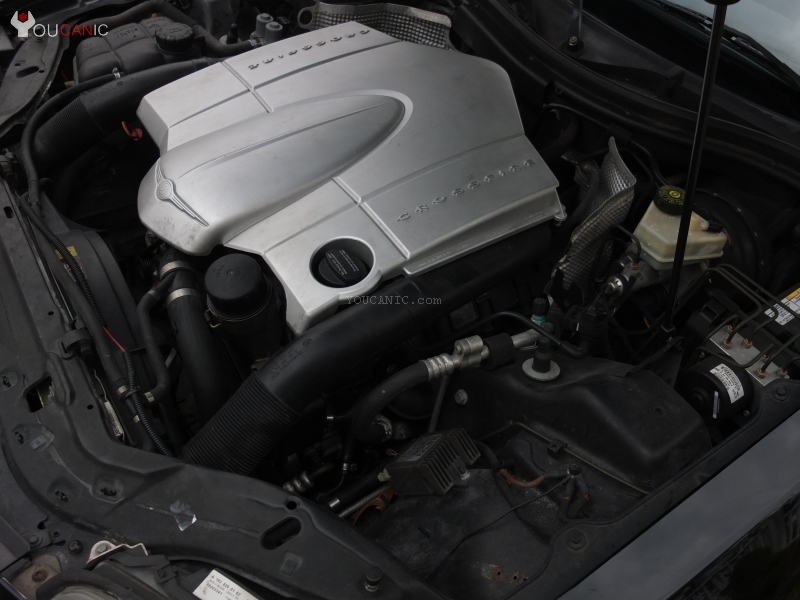 How to add windshield washer fluid to Crossfire, years 2004 2005 2006 2007 2008. Step by step instructions with pictures and video. Open the hood of your Crossfire by pulling the hood release under the dashboard. 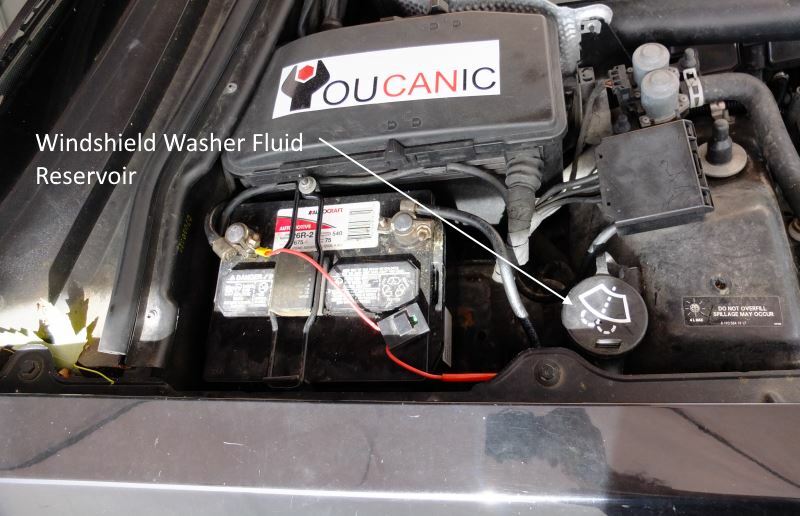 The washer fluid reservoir on Chrysler Crossfire is translucent and has a wiper symbol on top. Open the washer reservoir cap by lifting it up.